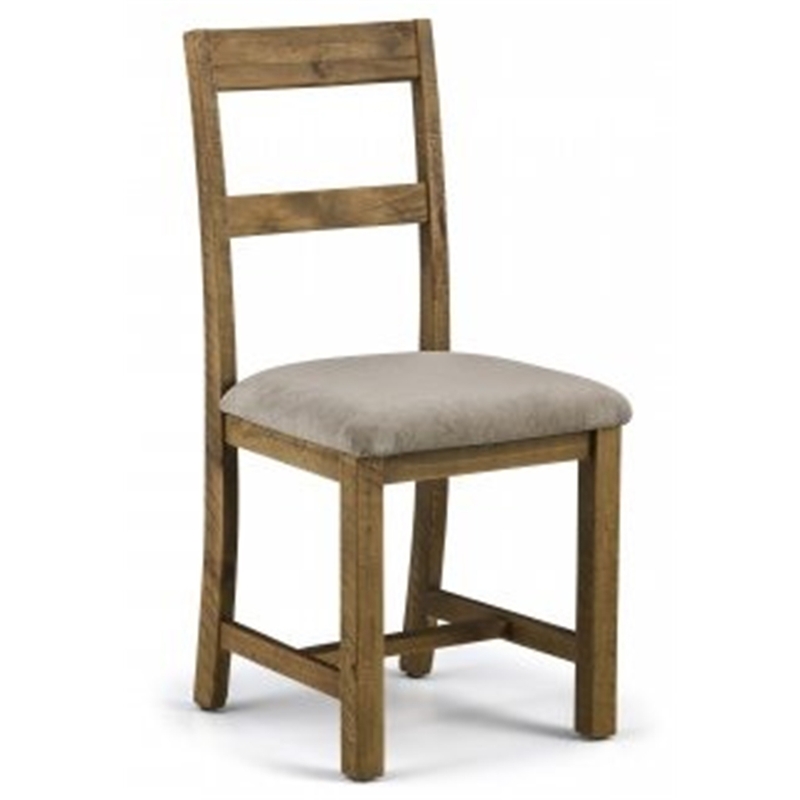 This Rustic Reclaimed Pine and Mink Chenille Seat Dining Chair is manufactured using reclaimed solid pine which would look perfect in a traditional or modern home. 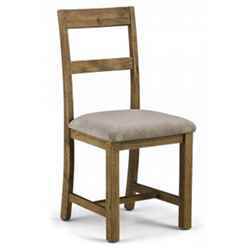 They are ideal for around the Rustic Reclaimed Pine Dining Table (see separate listing) or a range of contrasting tables. It also features a mink chenille padded seat for comfort and style. The rustic and vintage look is enhanced by nail holes and saw marks, also making each piece unique.